Come Out and Join Us to Support ACCOIN! 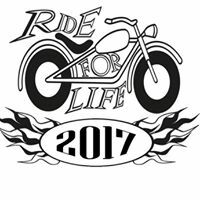 Come and join us for the 17th Annual Ride for Life to benefit the American Childhood Cancer Organization of the Inland Northwest. This years event is being held at Lone Wolf Harley-Davidson in the Spokane Valley, and has rides starting out in seven different locations! For a $25 DONATION you will get to enjoy a BBQ, live music, a raffle, and a live auction. You will also receive this years ride shirt, and ride pin. All donations benefit Inland Northwest children and their families as they fight cancer. ...Because Kids Can't Fight Cancer Alone! !